Posted in Alps & Europe, Skiing/Snowboarding and tagged Engelberg, Switzerland on January 23, 2011 May 19, 2013 by Jack Brauer. The setting moon illuminates Hahnen, the signature peak above the lights of town, at the first glow of dawn. This was taken from a reservoir at the end of town, which doesn’t seem to ever freeze due to constant inflow from a hydroelectric facility buried in the mountainside. The 30-second exposure turned out much differently than I had imagined, due to the overpowering colors of the street lamps. But I still like it! Posted in Alps & Europe and tagged Engelberg, Switzerland on January 23, 2011 May 19, 2013 by Jack Brauer. Rider: Prof. Shredding the Steinberg glacier. 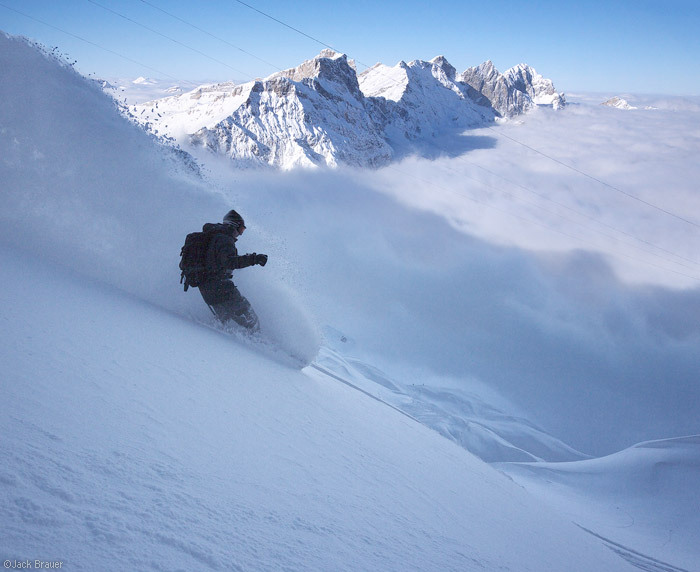 The snow gods have blessed us with bountiful powder the last three days in Engelberg. Thursday was my first full-on powder day here, and… well… what can I say… this place rocks! 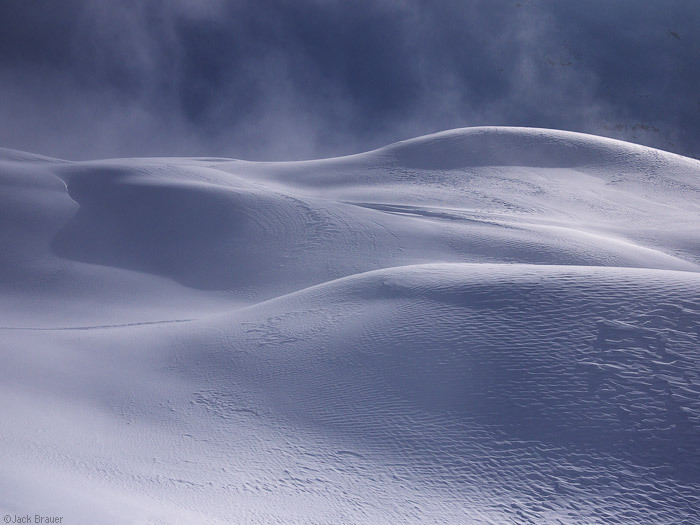 Friday was a tough day… uber deep powder… knee-deep… chest-deep… but no visibility… none… total foggy whiteout. It was brail survival riding just to make it down the marked pistes. So Friday was a bust, but all the off piste remained untouched due to the whiteout, so Saturday… Saturday was full harvest in action. The weekend warriors were out in force, but even the shitshow crowds of powder hounds missed a few large stashes which I was happy to shred until the end of the day. So, when’s the next storm??? Posted in Alps & Europe, Skiing/Snowboarding and tagged Engelberg, Switzerland on January 22, 2011 May 19, 2013 by Jack Brauer. 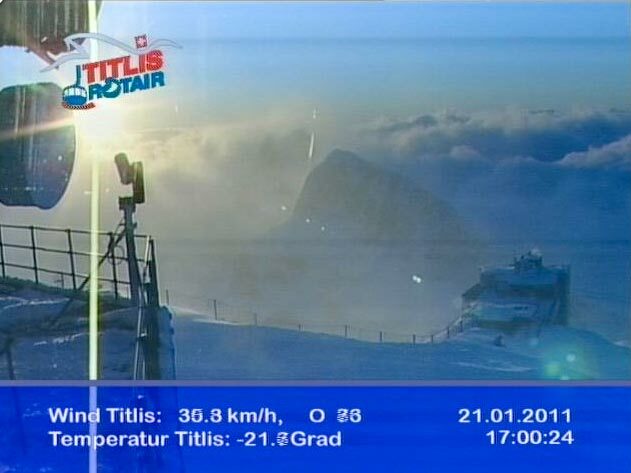 Here are a couple worthy photos from the Titlis webcam, at 3,020m (9,900 ft.) elevation, at the top of the Engelberg ski area. It’s been dumping snow the last several days in a highly localized storm which has been socked in from the north but never really made it over the main spine of the Alps. (I noticed that webcams from Zermatt, which is not that far away really, have been showing bluebird skies this whole time). Anyhow, the webcam photo above is from Friday evening, as the storm started to taper off. 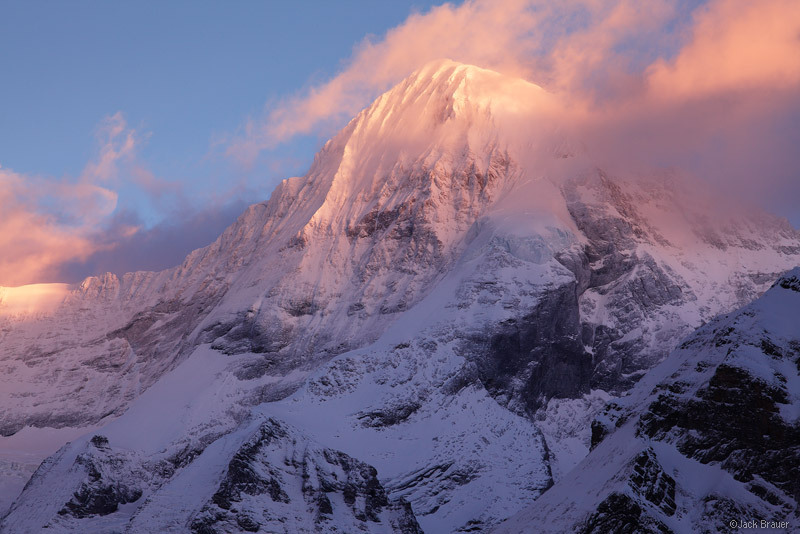 The clouds had lowered below the peaks at sunset, and oh, how I wish I was there at that moment to take a photo myself! Another worthy webcam photo. Yes, my camera and I would have enjoyed this as well. All day today there was a cloud-deck at around the 1800m elevation. Snowing below in Engelberg; bright and sunny above on the higher peaks. This is one of my favorite weather phenomena; there’s something so amazing about being on a mountainous island in the sky, with an ocean of clouds below. 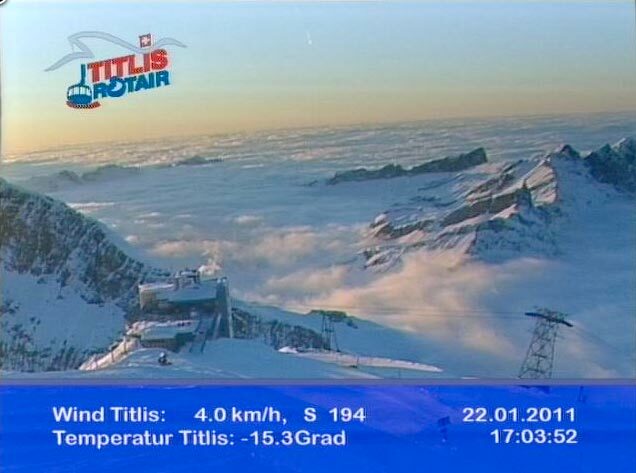 This cloud “inversion” is actually a very common occurrence in the mountains around Engelberg. And already in the two weeks I’ve been here, I’ve experienced this on numerous days, when I’ve wished I could be up high for sunrise or sunset, but instead am relegated to viewing it later in the day, or via webcam. 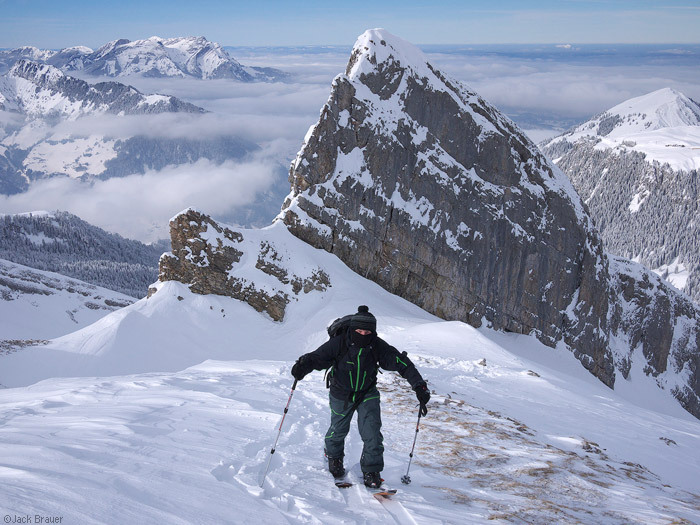 The challenge is that these mountains are BIG – up to around 6,500 vertical feet above the town of Engelberg. Staying up at the top of the ski area for sunset is not practical at all (which you’d know if you’ve been here). Getting up early and hiking all the way up one of these mountains for sunrise would be an all-night affair, much of which would be in the cloudy mist- also not practical. The only other obvious option is winter camping. Too bad I didn’t bring all my winter camping gear with me to Europe (which would have nearly doubled my luggage size). I’m wracking my brains trying to figure out a way that I can photograph these inversions at sunrise or sunset. It’s especially tormenting knowing that they are so common here, but yet so difficult to attain! But, that’s the photographer in me speaking… the snowboarder in me, in the meantime, has been having a blast in all the fresh powder! Posted in Alps & Europe and tagged Engelberg, Switzerland on January 22, 2011 May 19, 2013 by Jack Brauer. Posted in Alps & Europe, Skiing/Snowboarding and tagged Engelberg, Switzerland on January 17, 2011 May 19, 2013 by Jack Brauer. Posted in Alps & Europe and tagged Engelberg, Switzerland on January 17, 2011 May 19, 2013 by Jack Brauer. 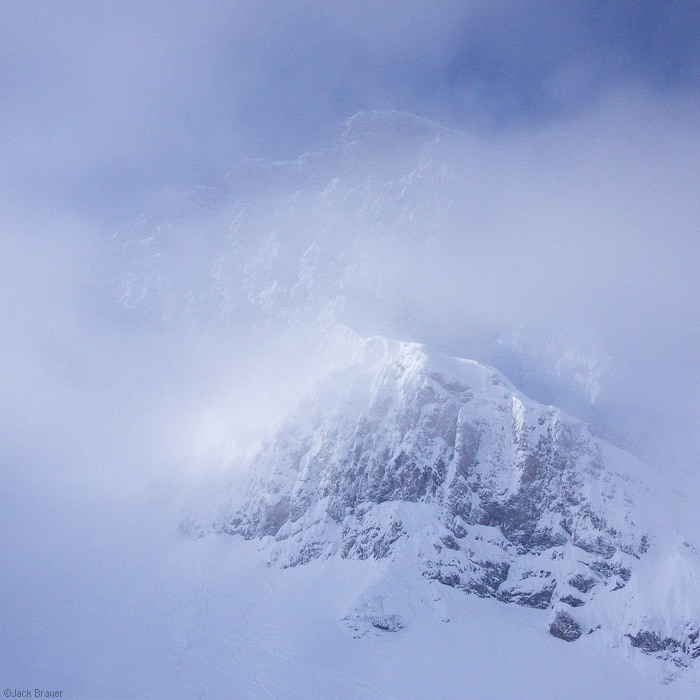 The sharp, steep ridge of Reissend Nollen (3,003m) towers above the clouds, as seen from Klein Titlis - January. 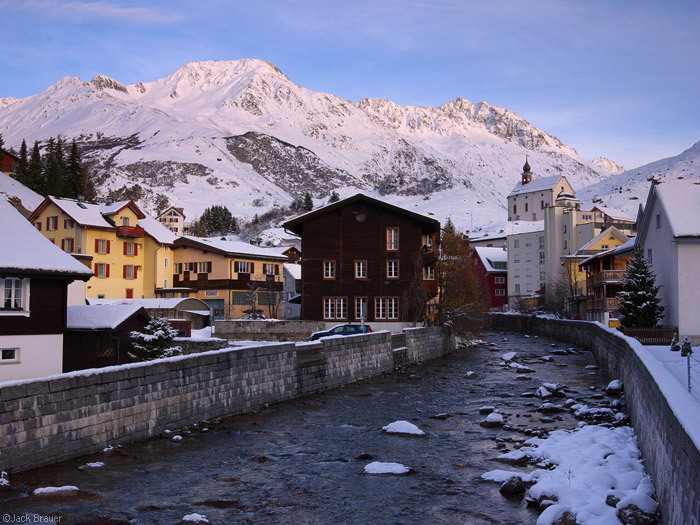 I have moved into my studio apartment in Engelberg, Switzerland, where I will be spending the rest of the winter! And I have already had my first days on the mountain! There’s no fresh snow right now, so I’ve just been cruising around on the different lifts and pistes, trying to get a feel for the place. My first impression is that the ski area is pretty BIG, despite looking fairly small on the ski map. 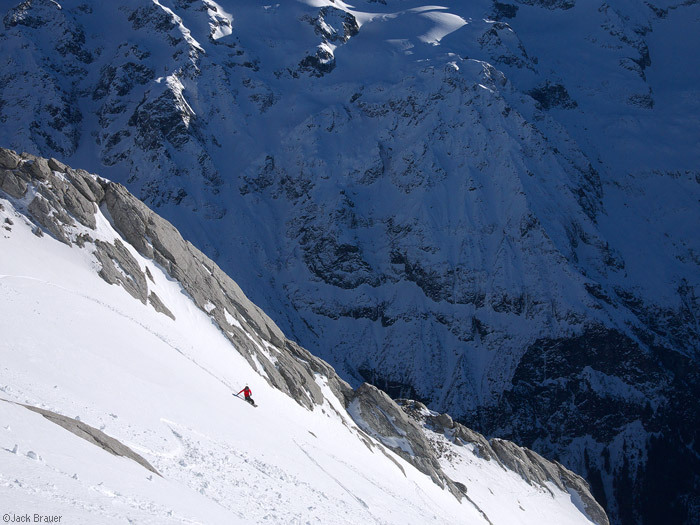 There seems to be many options for off-piste skiing, and I know there are a lot of major lines that I can’t see. But this is not a place for carefree exploring, with large cliffs and crevasses on many slopes, not to mention potential avy danger. 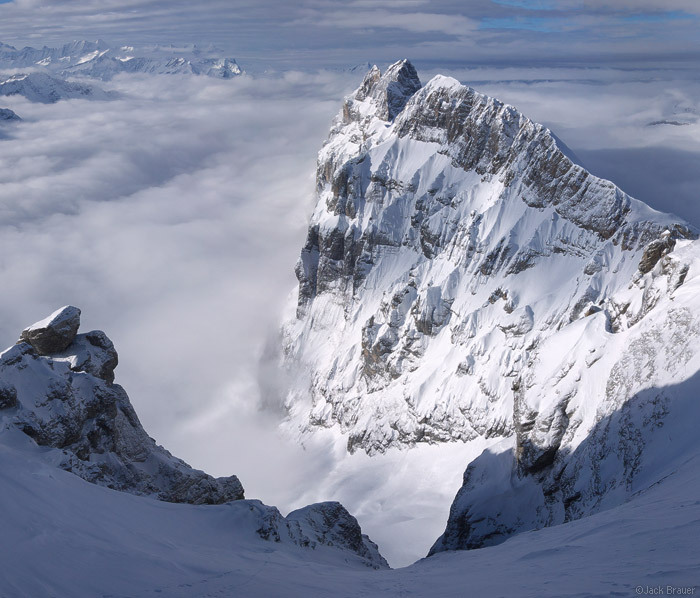 So a big hope I have is to find some people to ski with, who know this place and can show me the ropes. And that’s the impression I have, is that it will take some time, effort, and guidance to figure out the secrets of this place. Good thing I have all winter for that! 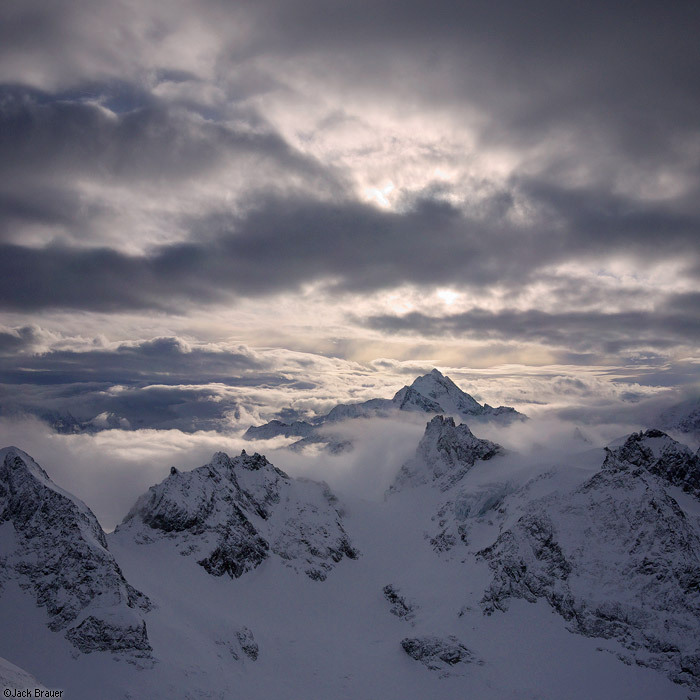 Misty clouds float amongst the peaks around Fleckistock, as seen from Klein Titlis - January. 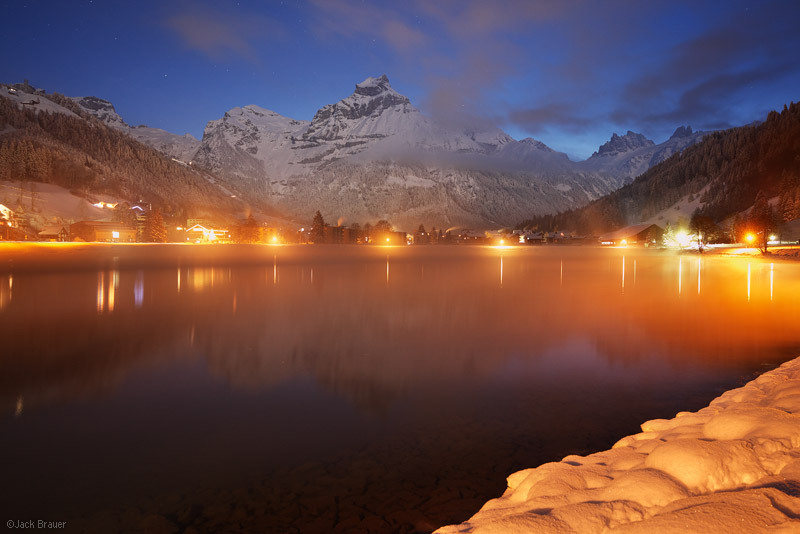 Posted in Alps & Europe and tagged Engelberg, Switzerland on January 6, 2011 May 19, 2013 by Jack Brauer. 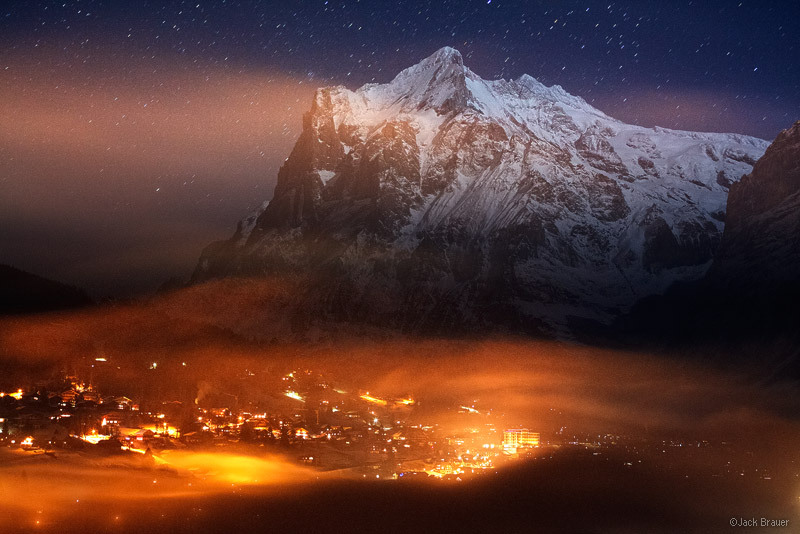 The nighttime lights of the town of Grindelwald shine in the fog, while Wetterhorn (3692m) towers above in the moonlight - December. Last weekend we visited the towns of Grindelwald and Mürren in Switzerland. These towns are situated in the Jungfrau region near Interlaken, at the foot of some of the largest and most rugged mountains in Switzerland. 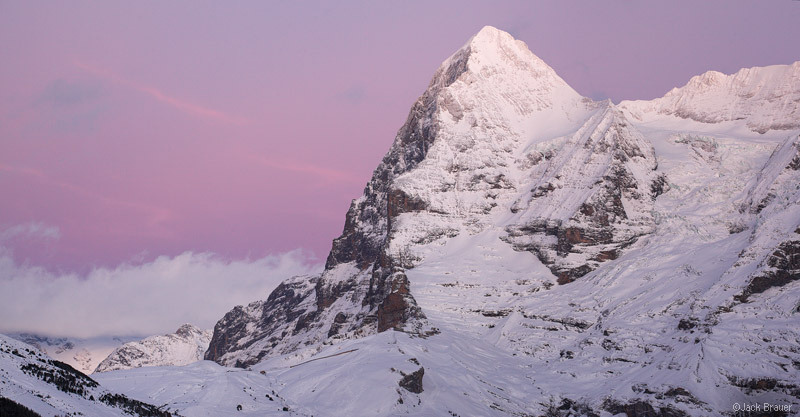 Above is a photo of Grindelwald, with Wetterhorn towering above in the moonlight. Not to be confused with the American Wetterhorn in Colorado… this is the original! The town of Mürren is even more spectacular. It’s a car-free town perched on the edge of a sheer cliff high above a valley (requiring a cable-car ride to get to), with the Jungfrau peaks towering another 8,000 vertical feet overhead! Perhaps the most spectacular mountain town I’ve ever seen! Sunset alpenglow light on Mönch (4107m) as seen from Mürren - December. View of the western side of the Eiger (3970m), with the north face plunging down to the left, as seen from Mürren - December. Posted in Alps & Europe and tagged Switzerland on December 13, 2010 May 19, 2013 by Jack Brauer. 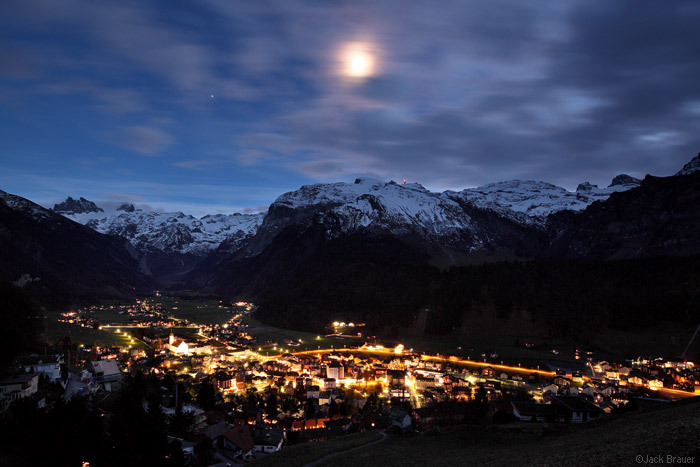 Moon over the town of Engelberg, Switzerland. This town is situated in a deep flat valley with steep rugged peaks soaring over 6,000 vertical feet above. The slopes around town are still green and winter doesn’t seem to have set in around here too much yet, at least compared to what I’ve seen at Andermatt or Zermatt this last week. UPDATE: My Swiss recon trip was a success… I found a sweet studio apartment to rent in Engelberg! I will have it from January through April. I am very relieved to have gotten this sorted out, since I was constantly thinking/worrying about where would be the best place to live and whether or not I’d be able to find an apartment, which is not easy this time of year. And after one week in Switzerland I knew that simply traveling around all winter would not be a viable or affordable option. As always, there is never a “perfect” place so it was just a matter of finding somewhere that felt right. 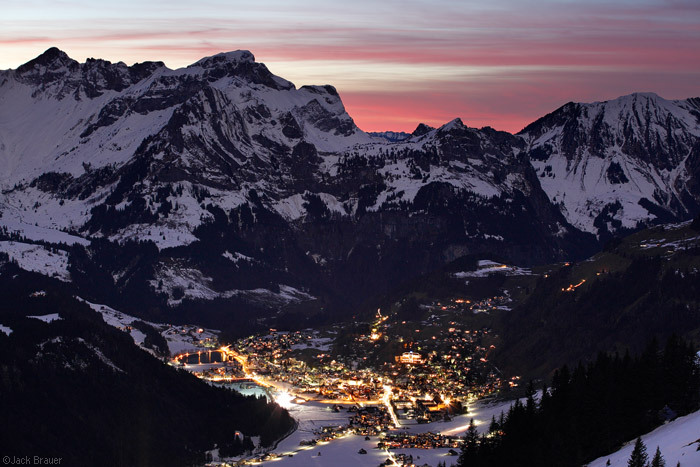 And best of all, Engelberg is pretty much the closest ski area to Claudia in Freiburg – 3 hours by train. Now that the recon and rental search is over, I am free to enjoy the rest of November and December without worries! Posted in Alps & Europe and tagged Engelberg, Switzerland on November 14, 2010 May 19, 2013 by Jack Brauer. After my time in Zermatt, I caught a train to Andermatt, a tiny Swiss town surrounded by very skiable-looking mountains in all directions. This place has been high on my list of bases for the winter, so I wanted to check it out asap. Posted in Alps & Europe, Skiing/Snowboarding and tagged Switzerland on November 13, 2010 May 19, 2013 by Jack Brauer.